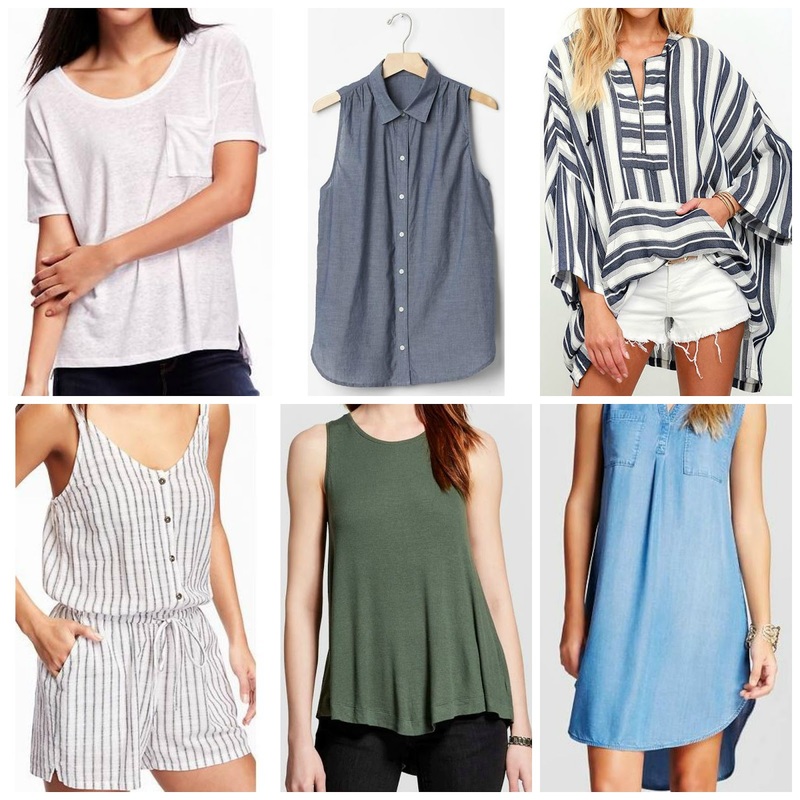 as we’re entering the warmer season, i rounded up a few of my favorite tops for any of you nursing mamas out there. it can be hard to find cute tops that are friendly for feeding your baby so i thought i’d share some of my favorites! i own three of these linen shirts and they make nursing so easy because they’re soft and drapey and i can easily tuck amelia right underneath without worrying about a coverup in public. the button ups always make it much easier. plus i wear my chambray button up tank with everything. a zipper on the top would be so easy for a quick feeding at night when it’s just a bit cooler out don’t you think? i just adore this poncho. rompers are so cute for summer and they’re so easy to feed your baby too. this tank has a such a swing bottom, i feel like it would make the perfect tank to nurse in.